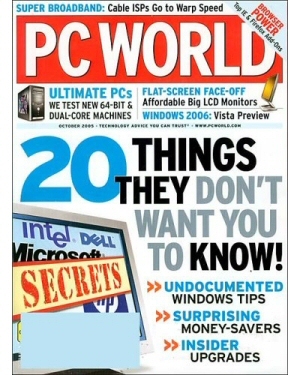 Negative Apple Article, Ad Pressure Leads to PC World Editor Resignation: Commoner Than We Think? This is more meta than we’re used to ’round here, but PC World‘s editor, Harry McCracken, just quit the magazine because he planned to write an article called “Ten Things We Hate About Apple.” But we all know that’s it’s actually been made illegal in the past few years to write anything critical about Apple. One of the publisher’s higher-ups caught wind of the article and decided to make a point: stories and reviews have gotten too critical lately. We can’t be running a magazine trying to get advertisers if we’re gonna be too harshly evaluating their products. Kudos to CNET for independently verifying this information. Honesty, in other words, has no place in technology journalism. Let’s just say that I’m not entirely surprised. This is a rather wacky game, with the relationships between PR folks trying to get [good] press about their wares and tech writers—supposedly—doing their best to weed through the crap to deliver an honest evaluation. So the next time you see an article, online or otherwise, about how much a keyboard “rocks,” about how “in heaven” someone is about a cellphone (as if a keyboard could “rock” in the first place, simple tool that it is), keep in mind the source and the manufacturer.